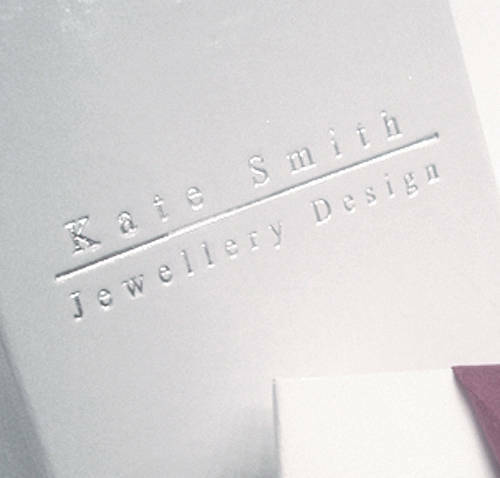 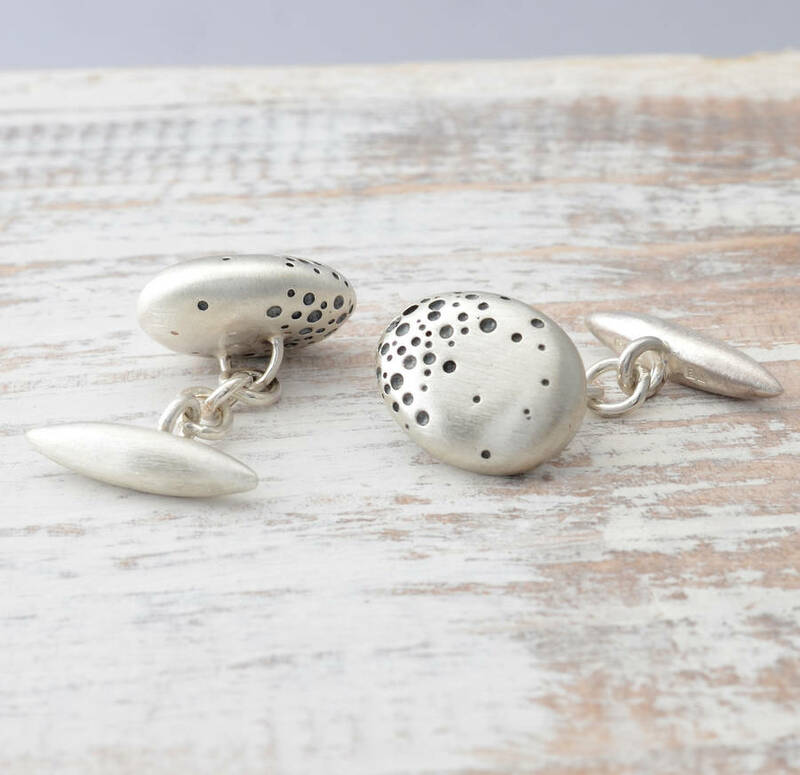 Handmade in solid silver, each has a chain fitting with a pointed 'bullet' shaped, hallmarked backing. 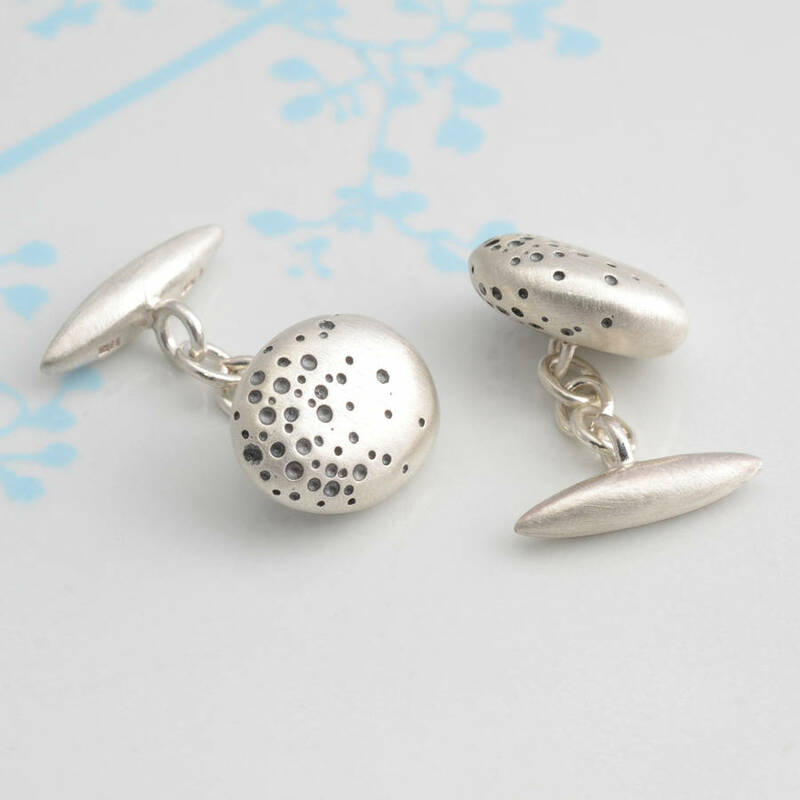 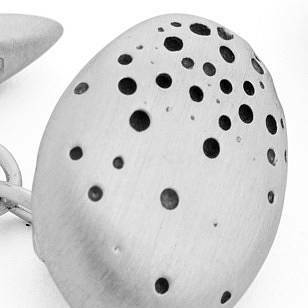 The individual holes are drilled and then oxidised (blackened) to give definition, after which the cufflinks are satin finished. 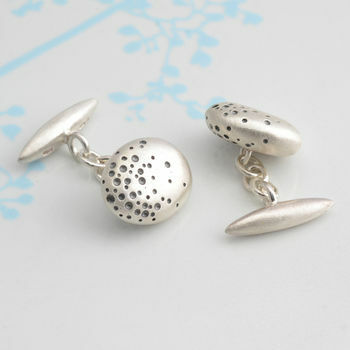 These make a brilliantly unusal gift....or simply a treat for yourself!